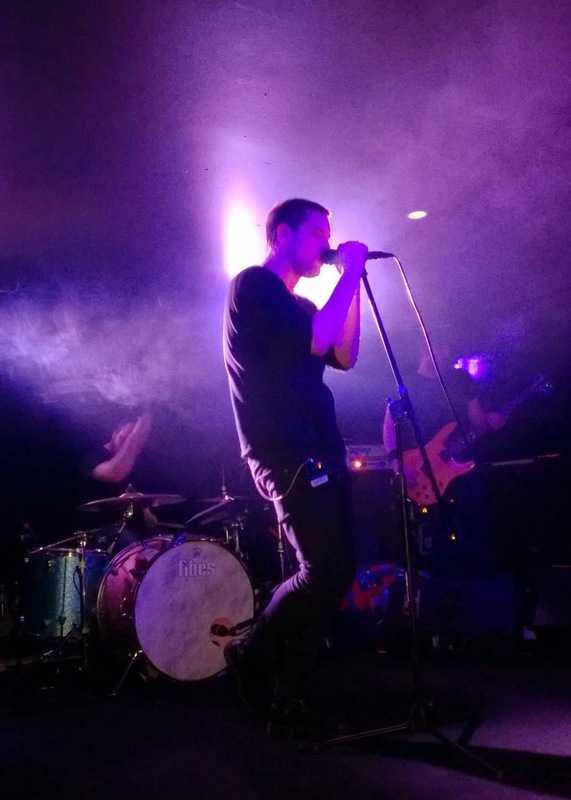 When the Twilight Sad were fresh to Los Angeles, about eight years ago, promoting Fourteen Autumns and Fifteen Winters, they were sort of awkward about their performance style, even if they were musically exceptional. Frontman James Graham would decide that his services were no longer needed at some point during a song, and so he'd sit like a child at the front of the stage, dodging eye contact and waiting for its end. He appeared a bit autistic, really. Then-bassist Craig Orzel would play in a yoga pose, and after a Knitting Factory performance could be found walking around the floor of the venue, eating a banana – decidedly un-rock 'n roll. But then, look back to Forget the Night Ahead's devastating “Seven Years of Letters” for a hint of what would come, with its references to “the dress that you'll never wear” and “the dance that we'll never share,” presumably a story about a couple too hesitant to commit to marriage in the long term. And then we read that Graham has a girlfriend in the present, and we realize, finally, that Nobody Wants to Be Here is perhaps not a breakup album after all – Graham is just a phenomenal storyteller, and the lyricist everyone hopes to encounter at some point. Not in the context of a breakup, of course, but in the ability to inspire to the extent that a beautiful song comes out of that meeting, whether said meeting lasts five minutes or five years. It is all too easy to become obsessive about the Twilight Sad's lyrics, to wonder who or what idea prompted them, and to keep them for yourself, because as much as you'd love to shout to the hills about what fantastic music this is, you don't want to share it with a soul. The funny case of the Twilight Sad as a live band is that their songs are incredibly serious, and incredibly sincere, yet Graham tends to downplay that sincerity on stage and poke fun at their loaded song titles before putting on an incredibly serious and sincere performance, as though he's embarrassed about his sincerity and feels he ought to apologize as a precedent. He'll announce “I Became a Prostitute” or “Drown So I Can Watch” with a self-aware grin. And as a performer, he is the factor that has most evolved over the last few years, which is significant, because he's currently the only member of the band who doesn't look bored on stage. Where Mark Devine and Andy MacFarlane have steadily provided a noisy and glowing wall of a backdrop, wearing poker faces all the while, Graham has developed from the boy who looks absent and unhappily drunk into a grown man who appears more comfortable with himself, and who might be the introvert with an on/off switch, suddenly okay with allowing himself to be seen for eighty minutes. Last night he was energized, unafraid, and put his everything into singing with sincerity, while bassist Johnny Docherty blew out an amp and MacFarlane, who quietly drives the tone and aesthetic of the band, played silently in the corner, almost entirely with tremolo, and a small but loyal audience, most of whom had driven hours to get to this strip mall in Costa Mesa, looked on in love. There is no more euphoric feeling than the one that comes while watching this Banton band perform. This was not shot in Costa Mesa last night. But it's a charming, lovely and stripped down set recorded last month that ought to be seen.